The expression “newsjacking” has been popularized by David Meerman Scott and the available material on the topic is near limitless from case studies of Oreo’s Dunk in the Dark Twitter ad to missed opportunities by Poland Spring. Related to newsjacking is the practice of leveraging popular culture references in brand messaging. Movies, music, memes and more can be deftly integrated into your social media and content marketing programs to provide an entertaining context to otherwise boring business information. Beyond attaching to something that’s popular on TV, the best applications of popular culture references find creative ways to make a connection back to the brand’s products or services. 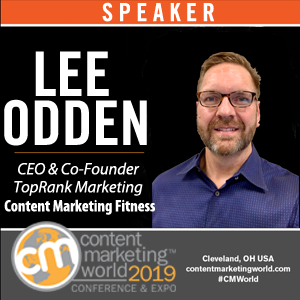 Pop culture and content marketing is a balancing act between the popular content and the target audience’s interests. B’s are people too after all. However, it is not enough to simply post status updates about a popular television show or movie. Brands must provide a cultural connection back to the organization. Will this popular culture reference interest my customers AND reinforce our relationship with them? If there is any lingering doubt on your marketing team, address it before publishing anything pop-culture related. That Game of Thrones blog post you have in mind will only work if you bridge the cultural gap between the reference to the show, your business objectives and the interests of your target audience. If you’ve never tried connecting to a pop culture reference in your content and social media marketing efforts, try testing your concepts on a smaller sample of your target audience first. Determine how far you can stray from the “character” of your branded content – if the radius is short, think twice before potentially alienating a large segment of your audience. Pop culture marketing can be fun and relevant. Thanks to The Walking Dead, everyone seems to be talking about zombies these days. The allure of the undead has caught on with several brands, looking to capitalize on the popular trend with their own content. 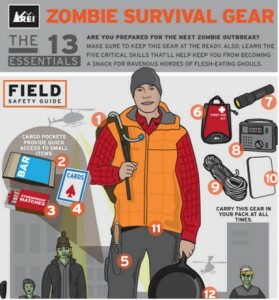 Outdoor goods retail company REI leveraged the forthcoming zombie apocalypse to build their own “Zombie Survival Kit” for their audience. The company went even further with the zombie theme, setting up training courses on “Zombie Preparedness”, covering many basic survival tactics from natural and unnatural disasters. Without directly citing The Walking Dead, REI nonetheless played to the show’s themes while promoting their own products and services. The infographic was shared by REI and picked up by dozens of aggregate websites – expanding REI’s reach at the exact time the show’s popularity peaked. LinkedIn also saw an opportunity to leverage popular culture for their Marketing Solutions blog. The social network has significantly expanded its content marketing efforts, and saw Halloween as an opportunity to promote its tactics. LinkedIn published an “interview” between Jason Miller and Dracula, explaining how the immortal vampire uses the network to connect with influencers and expand its reach. For content and social marketers, fun and relevance don’t need to be mutually exclusive. Just make sure your content relies on both – the balance is what causes spikes in engagement. Popular events are goldmines for real-time marketing. There are a few popular events from the worlds of entertainment and sport that command attention from millions of people. Super Bowls and award shows are rife with opportunities for real-time social marketing – but they are also fraught with pitfalls if performed poorly. 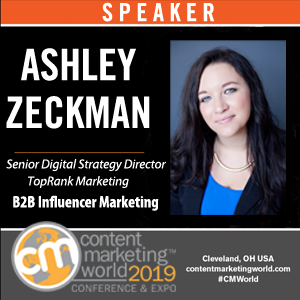 The increased audience can provide instant engagement spikes, and the truly viral posts becoming fodder for post-event marketing recap blogs. DiGiorno benefited from an irreverent style that played well to its audience, and the tweet garnered over 17,000 shares during the remainder of the game. Even boring football games can be ripe for real-time opportunities. 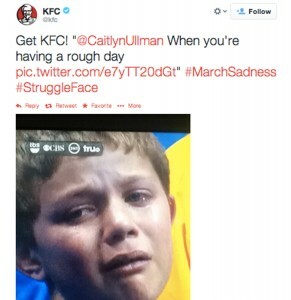 Reaction from the audience was swift and, KFC (to its credit), removed the tweet minutes later. But they neglected to apologize for the error. Look ahead — integrate movies, TV shows, music and memes into your content calendar. Organize your social content calendar and integrate the events that make the most sense for your brand and audience. What memes within certain TV shows and movies would resonate with the interests of your target audience? Combined with a sharp real-time strategy, popular culture references or contexts for your content can boost the entertainment value of your content in a way that will help your brand reach new audiences and better engage those that are already paying attention. Newsjacking and making pop culture references in your social media content isn’t a tactic that every company should use. But if you really understand the interests of your audience tangential to their business interests, pop culture marketing can be a good complement to your social media programs. What kinds of popular events would work best for your content and social marketing efforts?